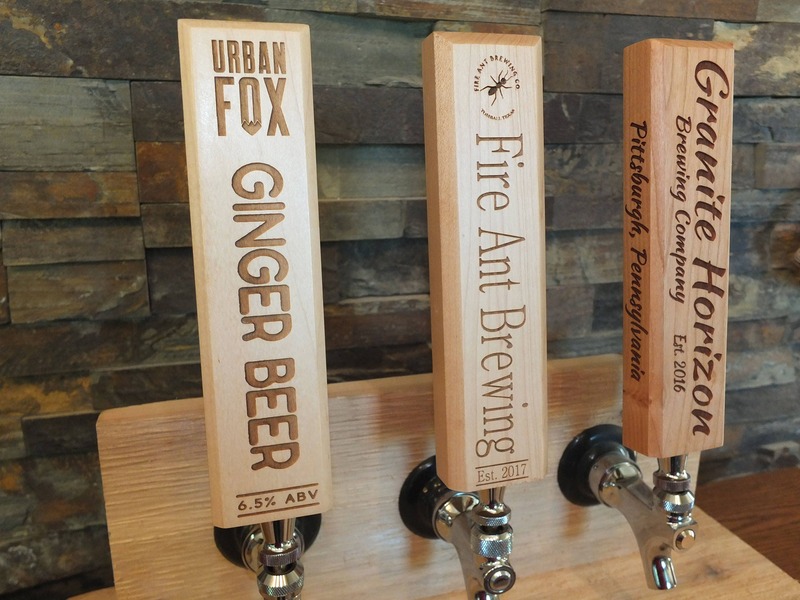 10 Custom Tap Handles. 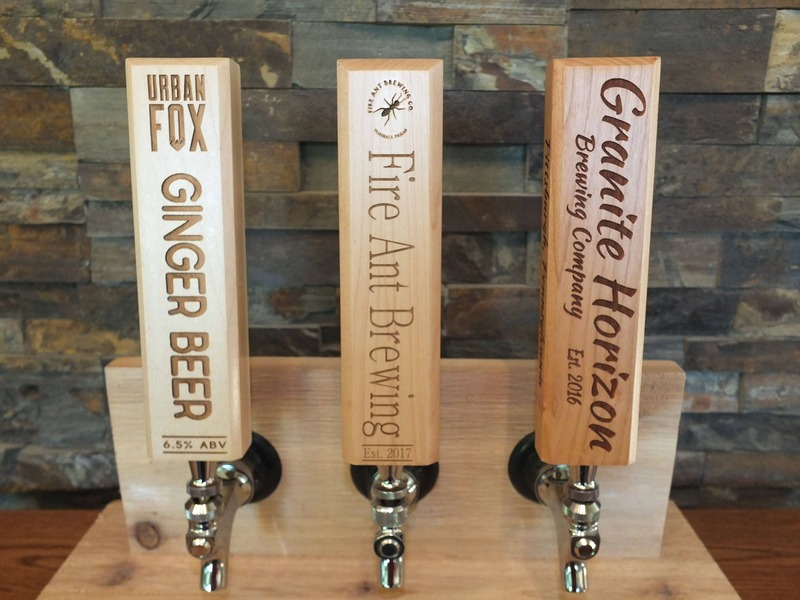 Laser Engraved Tap Handles for the Craft Brewer, Craft Beer, or Coffee Bar. 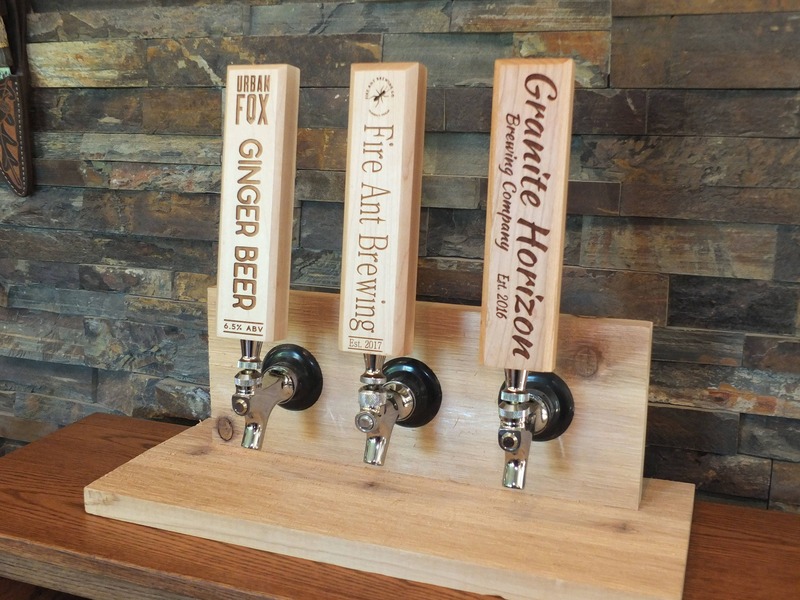 Custom tap handles perfect for the craft beer brewer or for the coffee bar. 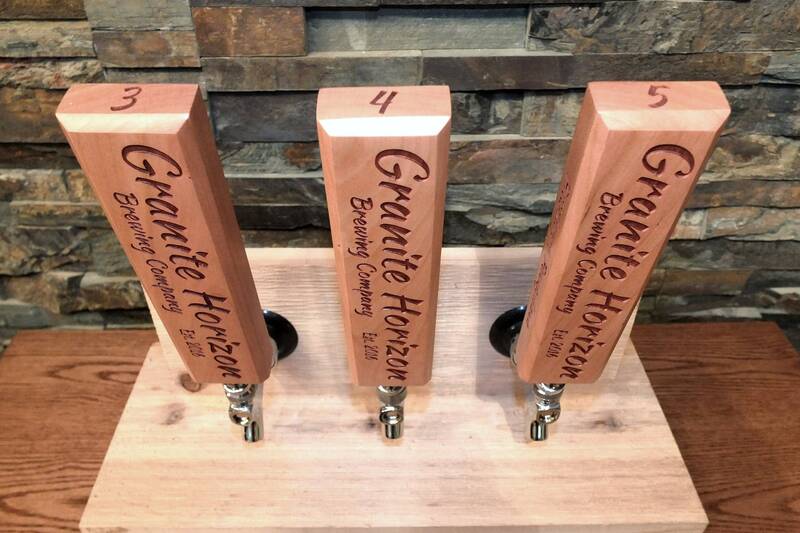 Get a 5% discount if you order 10 or more custom engraved tap handles. These beautiful tap handles are sanded to perfection then finished with a furniture quality conversion varnish. The brass insert fits any standard faucet. Send me your request, we can make taps handles customized to your specification. Pick your wood color and specify any engraving when you check out. The price includes text and your graphic image (if any). The engraving must be the same on all handles to qualify for this bulk pricing. Size: 2" x 1 1/4" x 8"